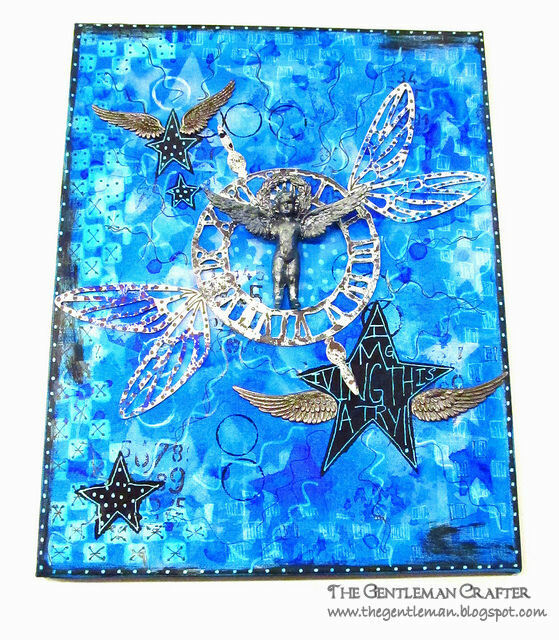 The Gentleman Crafter: Dylusional Canvas in Blue! I've never used Dyan's Dylusions line on canvas before. Well Hells Bells... there's a whole new world out there! LOL! A bigger canvas, if you will, in which to use these bright fun colors! I purchased a pack of canvases from the craft store and thought I would give it a go. Instead of using all the colors I decided on London Blue to see what I could do. I've got a lot to learn, but I had a blast and can't wait to try another one...Which I actually have...A Christmas one which I am still working on this morning. The ink perfectly went in puddles on the canvas and spread beautifully when water was misted over it. The Ghosting technique worked like magic on the canvas. So cool! The second canvas, the one I'm working on this morning, the ink hit the canvas and formed a bunch of droplets unlike the canvas in blue. It was if the canvas was oily or something. I wiped the ink off, painted the canvas with gesso and Voila!, I was back in business again! Here's this mornings attempt....The Christmas Background...Not finished yet of course....LOL! Well, I need to get busy... gotta run to the shops real quick and grab a few things, decorate the tree, work on a cool project book I've cut out and need to put together and then I have a tag I want to share with y'all later. Loving this time off! Yahoooo! Oh yeah! I will download Part 2 of the Family Tree video. Sorry it's taken so long! The canvases look awesome! Great 1st try. 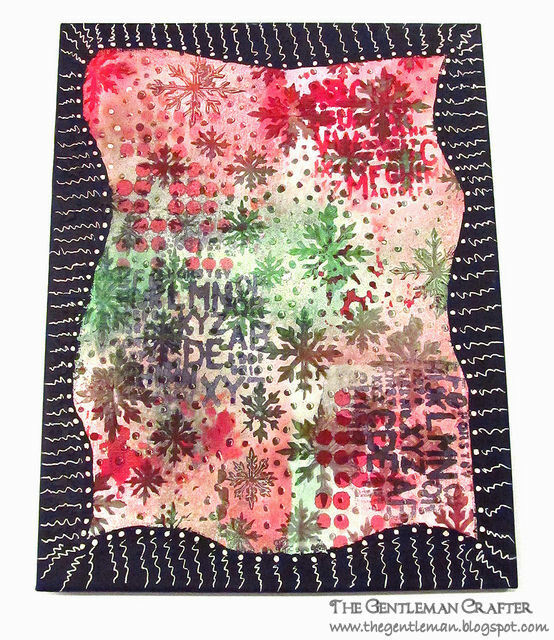 I've been pulling monoprints with my new Gelli Plate. You've got to get this toy, too!! The blue canvas is amazingly beautifully!!!! Can't wait to see the Christmas canvas when it's finished!!! how much fun! Love your inky canvases! These canvases are great. Love the blue one. Excited to see the finished Christmas one. It looks really nice I really like blue. Wonder what else you got up your seelves Jim? Wow the blue canvas is amazing, so vibrant. Love the details too. The christmas one is so completely different and amazing. So awesome. 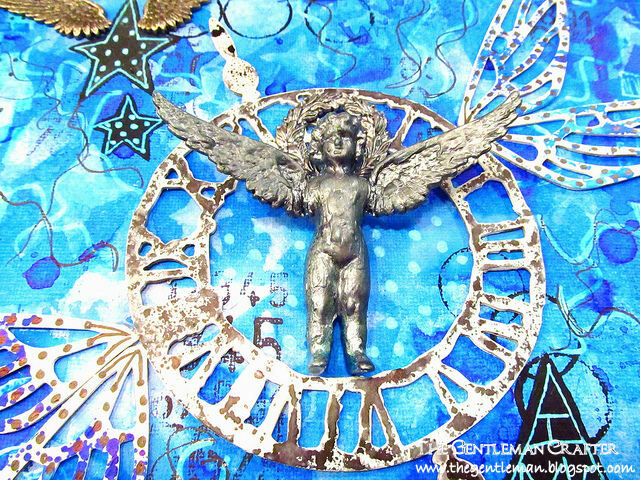 Love how you made the angel from the fractured piece. So vibrant and fun. Absolutely Ah-Mazing heARTistry! I'm in love with the way you incorporated techniques, just Fantabulous. There is sooo much more you can add in layering too. Tons of FUN & certainly a whole new world. It's a Color ME Happy Dance to say the least. Gesso base will become your best Friend in using water-based dyes & along the way a bitty of Krylon workable Fixatiff go hand in hand magnificently. I'm over the moon to see what precious treasures await in your totally Dylusional canvas journey. Lord love a duck. You are more fun than a barrel full of monkeys. Your pieces are out of this world and your videos are so much fun. Can't believe I only found you this past summer. I look forward daily to my dose of Gentleman Jim. Thanks ever so much. The canvases look great - it's hard to believe you've not painted them before! 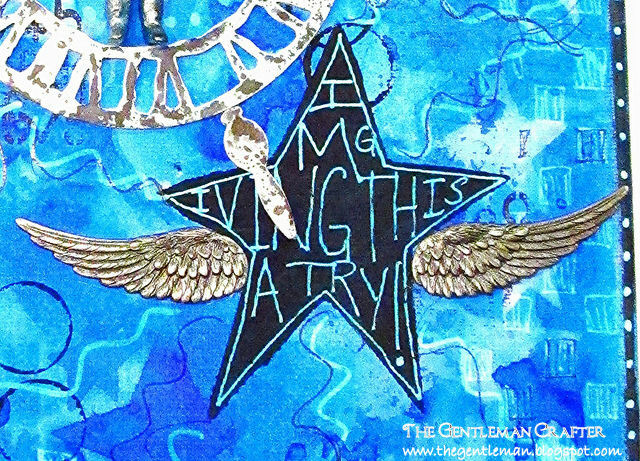 I've never been that brave yet but I must admit that Dyan's inks and stencils keep calling to me to have a play!